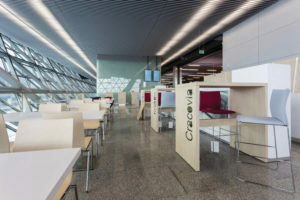 Cabling concepts fit for the future, long-lived network products and long-term, trustworthy cooperation throughout several periods of expansion: R&M was able to make use of all the advantages of the R&Mfreenet program in the expansion of Kraków Airport. 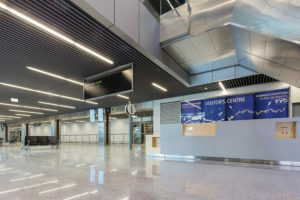 Application: On-site cabling and structured building cabling for airport operations. Use of shielded and unshielded Cat. 5, Cat. 6 and Cat. 6A ISO copper cabling from the modular R&Mfreenet program. 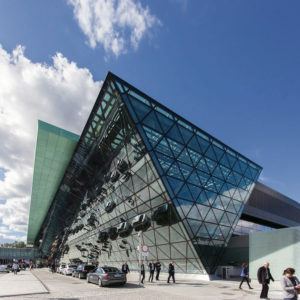 In 2012, an ambitious, extensive and pioneering investment program was launched at Kraków Airport. Its aims include doubling the capacity and raising the service quality to an exceptional standard in comparison with Europe’s regional airports. These objectives call for cabling that can meet the specific operational demands of a regional airport. The cabling must have multifunctional applications. It must integrate communication and local data traffic, connection with wide area networks, video surveillance (CCTV), security systems, wireless LAN and flight information display systems (FIDS). On top of all this, the old and new network infrastructures have to be connected together. Modernization has been taking place step by step over a long period. This means that it must be possible to expand the cabling at any time and adapt it to new technological developments. 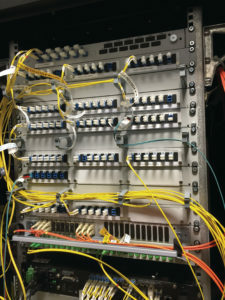 A good experience with the existing R&Mfreenet installation was the basis for deciding to use R&M’s modular cabling system as a sustainable and permanent solution. This enables the infrastructure to be expanded, upgraded and adapted seamlessly in every new construction phase. This keeps the overall costs down and reduces the time needed for installation work. The customer can reap the benefit of all the advantages offered by the R&Mfreenet program. The many years of successful cooperation between R&M and the airport were also a deciding factor in choosing to take on these challenges together. After the previous modernization steps were successfully completed, R&M received the order for the next project: equipping the air traffic control tower with 6A/s ISO cabling. The intelligent R&MinteliPhy infrastructure management system will be employed for this task, enabling the airport’s network infrastructure to remain up to date in the future too. 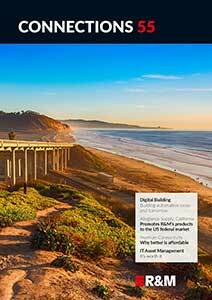 How do you plan edge data centers?